Next month, a new Pokémon anime series starts. It will have brand new friends as well as longtime ones like Pikachu and Ash. There is one character, though, fans really hope will come to Alola. And that character is Serena. Warning: This article has spoilers if you haven’t seen the most recent episode of Pokémon XYZ. 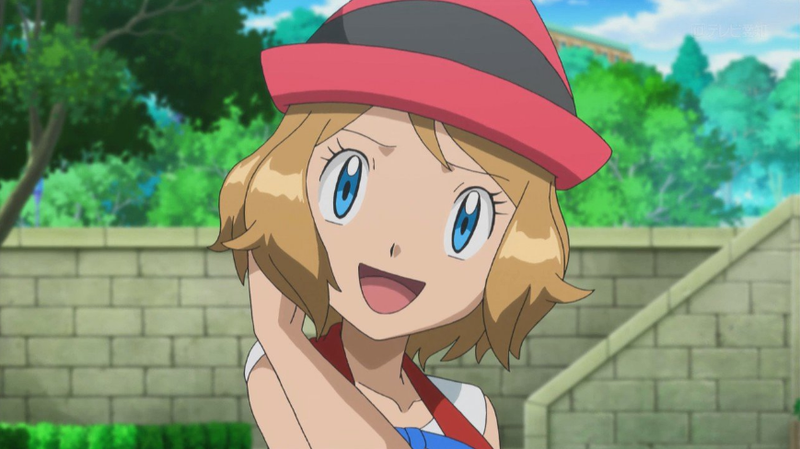 Debuting in Pokémon XY, Serena is a Pokémon Performer and good friend of Ash. But she’s more than just another buddy, because she is smitten with him. That’s not fan fiction, but cannon. Because of that, there is a notion that Serena and Ash are or should be in a relationship. This is called “AmourShipping,” which you can read about more in depth here. For the last few months, fans have been hoping that Serena will also appear in the upcoming Sun and Moon anime with the hashtag #BringSerenaToAlola. There is even a Charge.org petition to bring Serena to Alola with over 26,000 signatures. Twenty-six thousand! So far, it doesn’t look like the character will be making the leap to the Sun and Moon anime. It certainly doesn’t sound like she’s headed to Alola—at least, anytime soon. There is hope that she will eventually go to Alola.